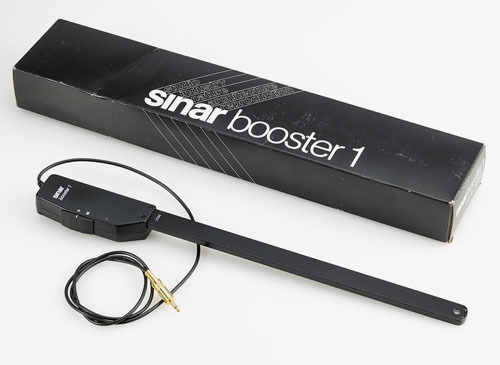 Sinar Booster 1 Meter Probe. This probe is designed for use with Minolta Flash-meter III, IV and V, as well as the Auto-meter IVF metering units. Selective exposure metering at the film plane with flash, continuous and mixed lighting. The Sinar Booster 1 can be used with Sinar metering backs 4x5 and 10x8.